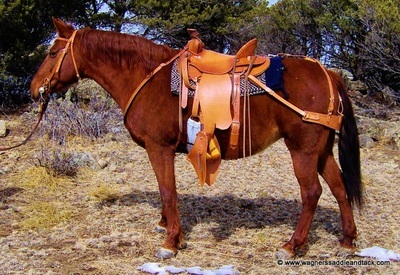 "Mountain Hunter" On horse bars with breeching & pulling breast collar. 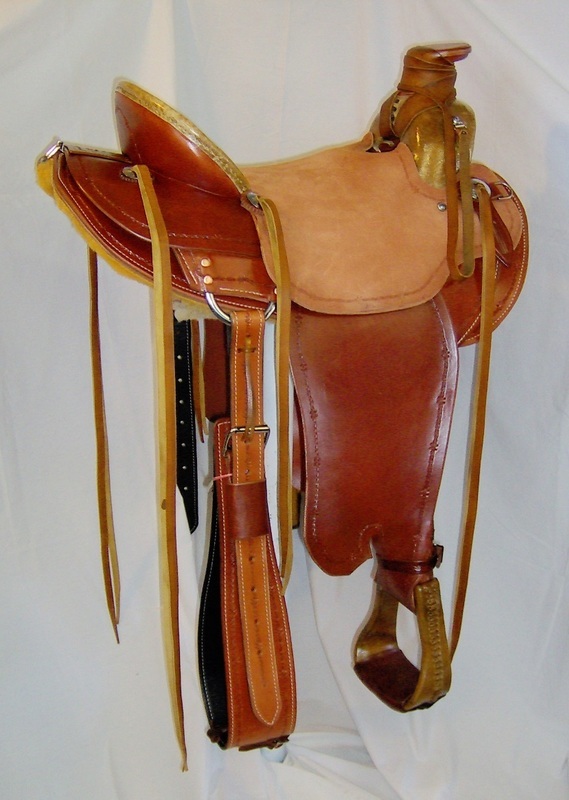 Wade saddle on mule bars with natural rawhide swell cover,	cantle binding and stirrups. 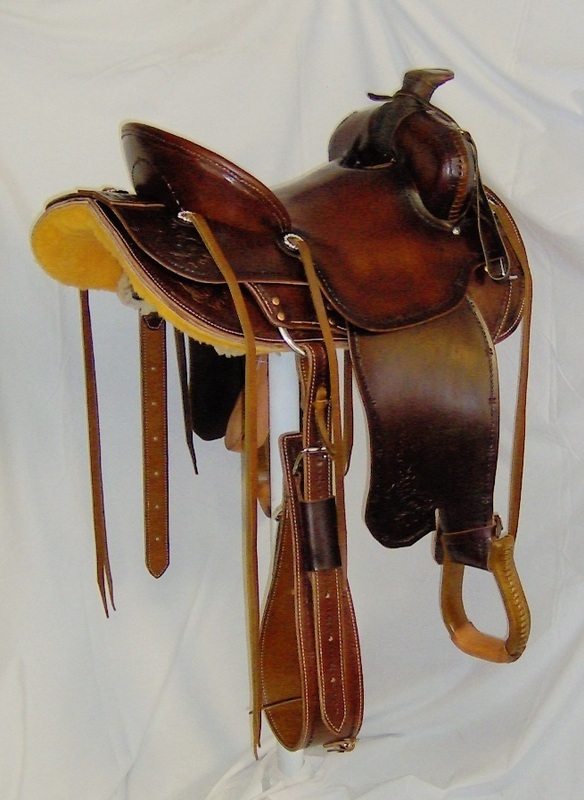 Form fitter tree with either mule or horse bars, 7" wide gullet and 4" or 5" cantle. 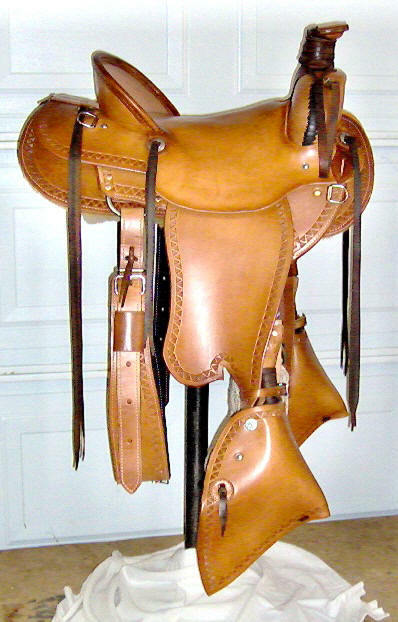 Barb wire border with tooled tapaderos. 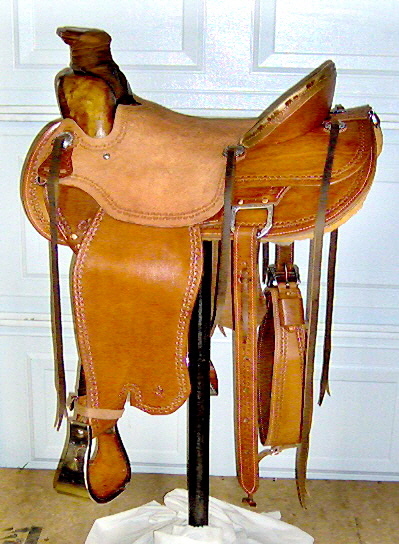 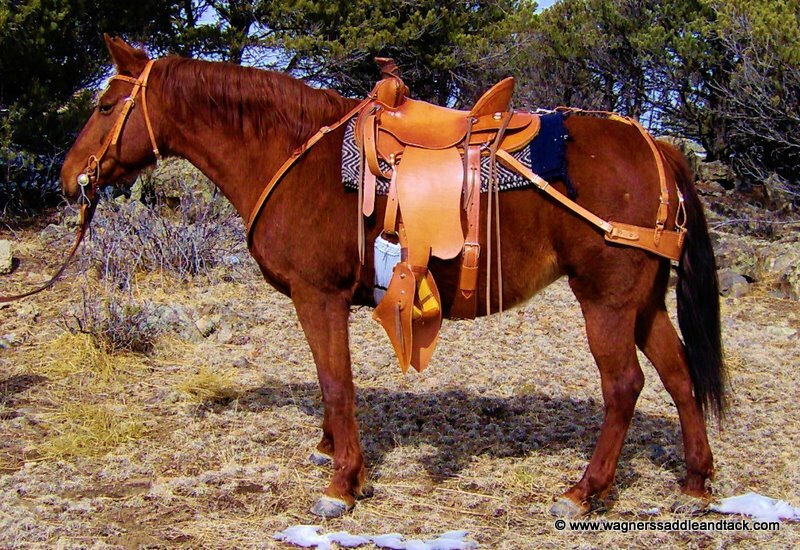 "Trail Saddle" On Mule bars and cornered flowered tooled with a tooled border. 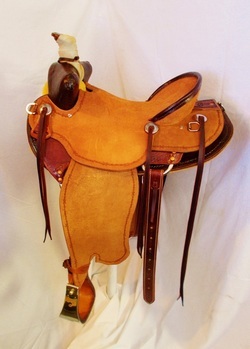 This saddle was cut down to fit a 14 hand mule and a small lady. 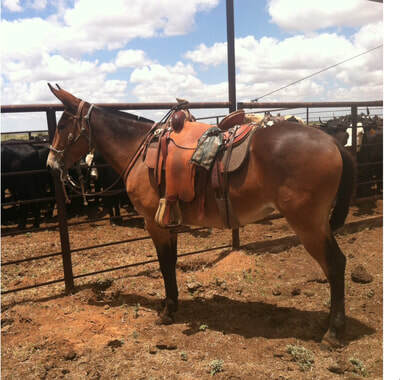 barbwire border with running horses. Built on a Cliff Wade tree with 92 degree bars and a 7" gullet. 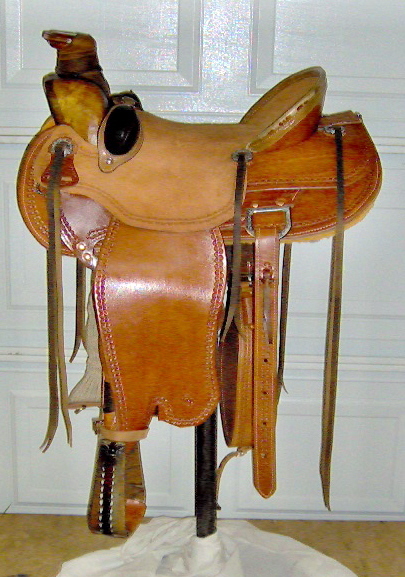 Wood post horn and a 5" high cantle. 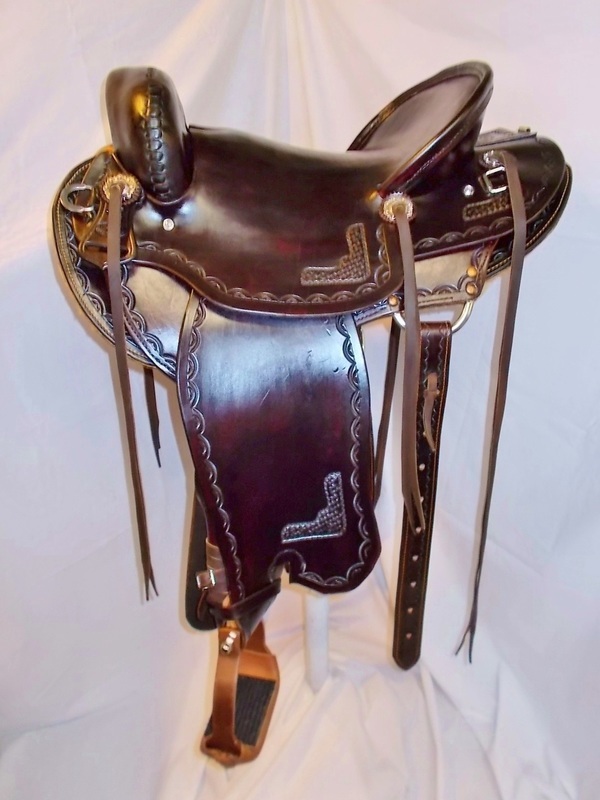 Engraved Horse Shoe Brand hardware and 3" engraved bell stirrups. 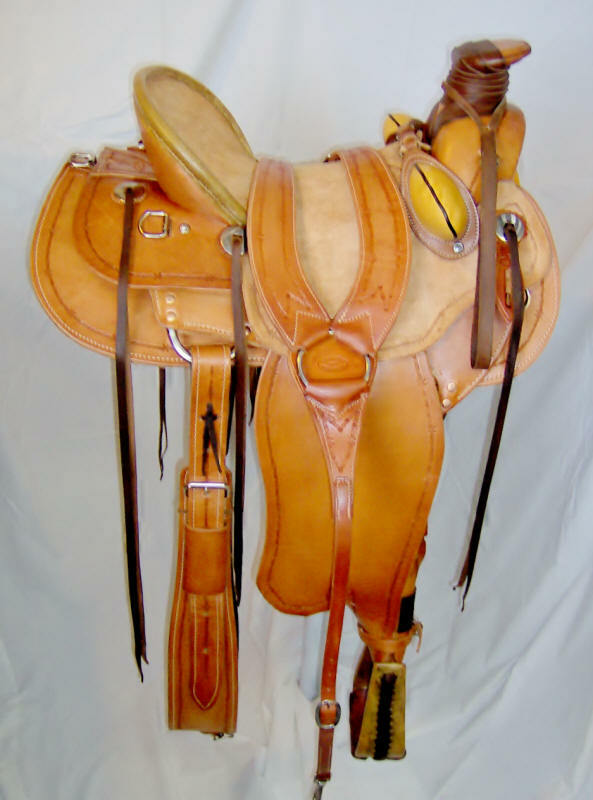 Double line Barbwire border and natural rawhide cantle binding. 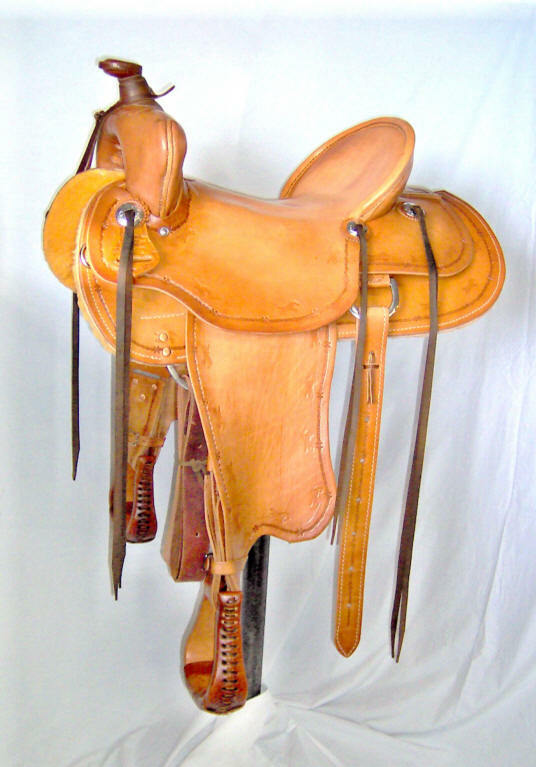 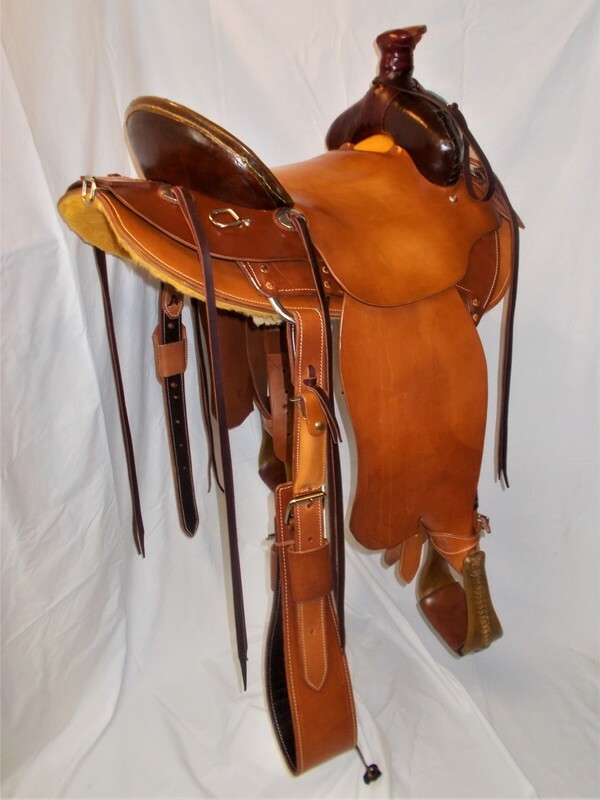 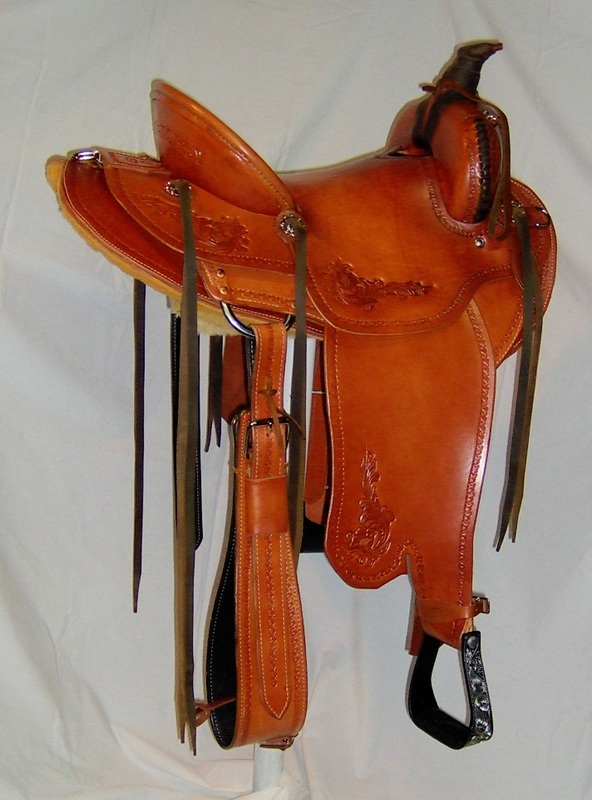 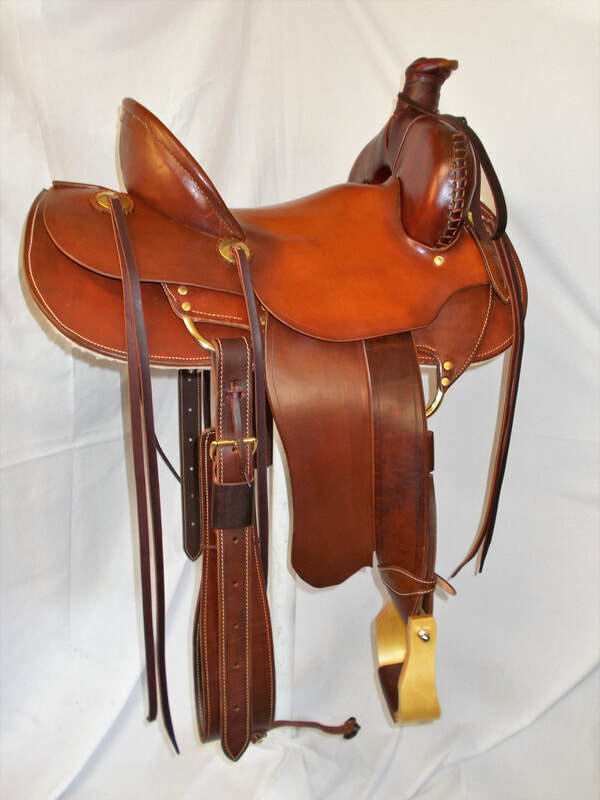 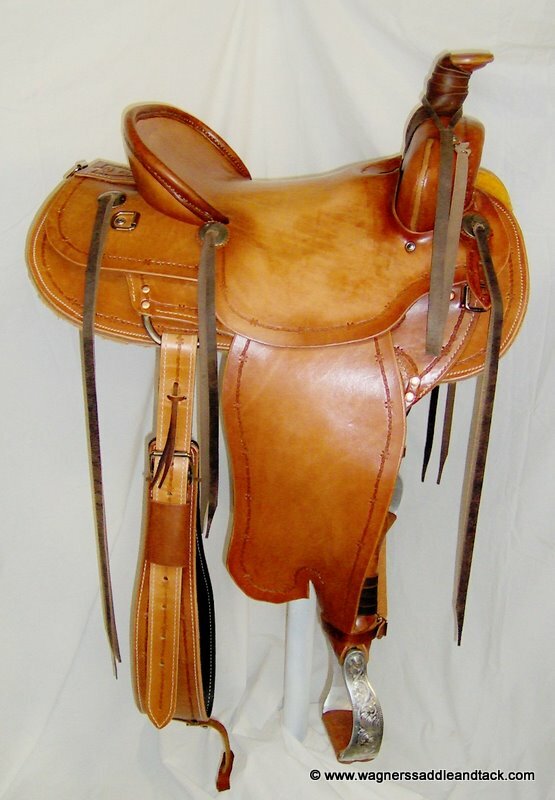 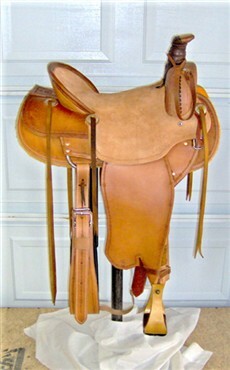 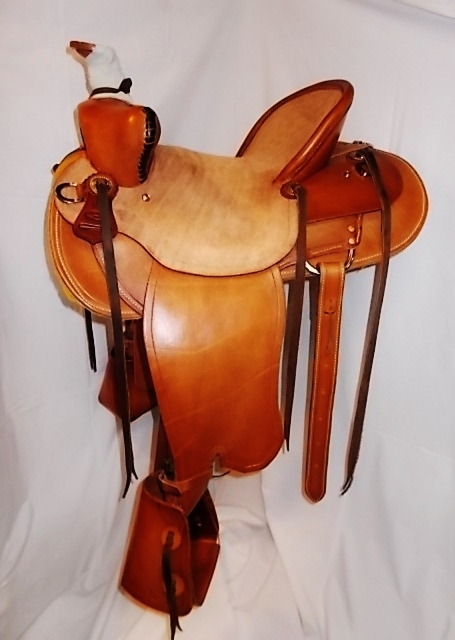 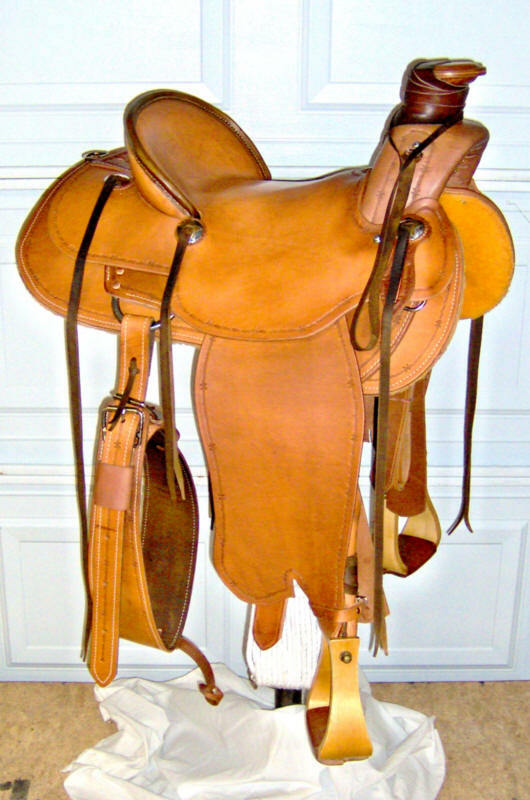 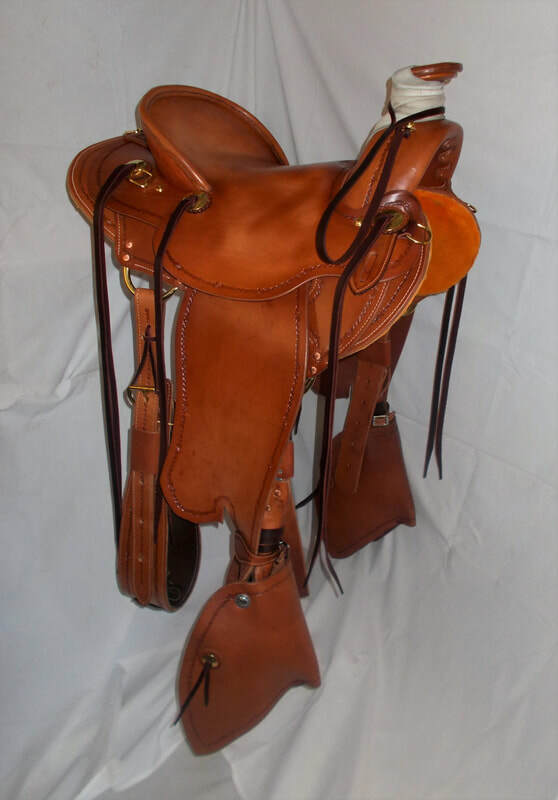 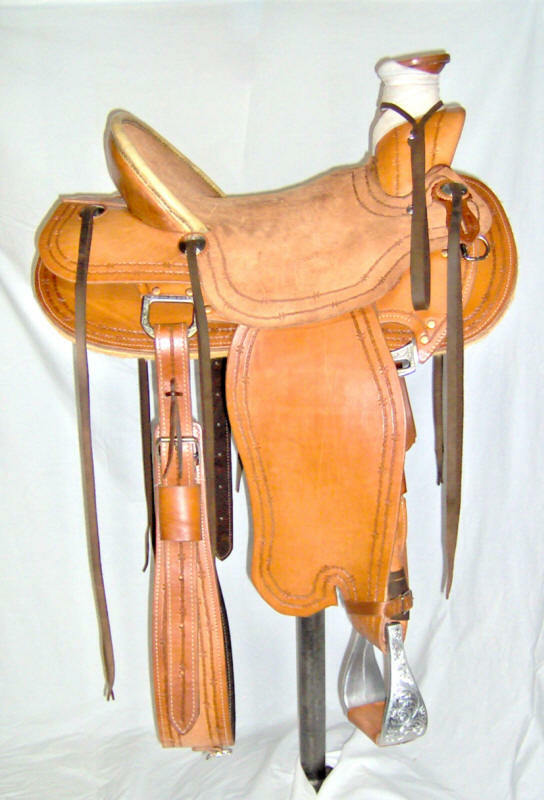 "Cliff Wade on Mule Bars"
16" seat with 5" cantle, 7" wide gullet and wood post horn. Nice border pattern and basket stamped cornered tooled. With Horse Shoe Brand Floral conchos. 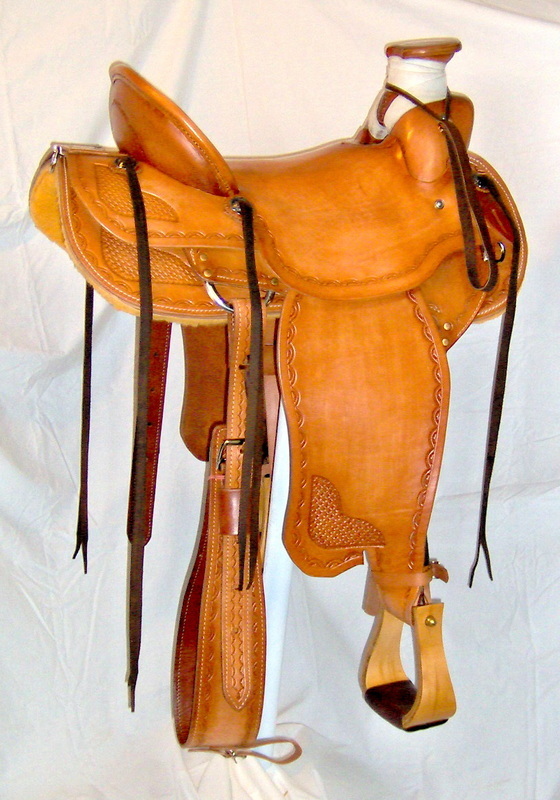 Laminated wood stirrups with buckaroo twist. 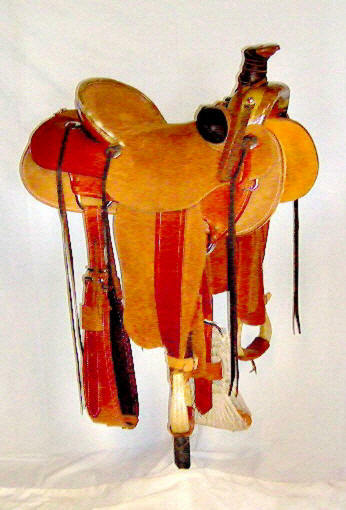 Southwest Wade, Wade tree, 3 1/2" wide post horn, rawhide covered swell and cantle binding. 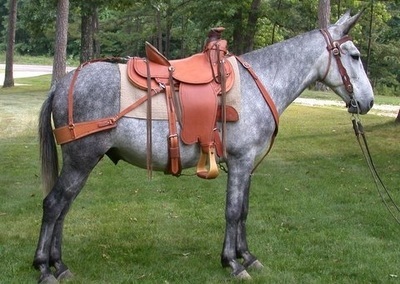 Form fitter tree with either mule or horse bars. 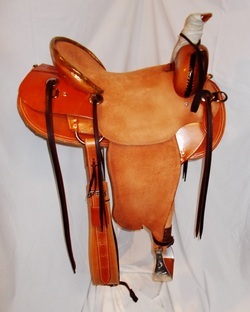 7" gullet, natural rawhide covered swell, cantle binding and roping stirrups with bucking rolls. 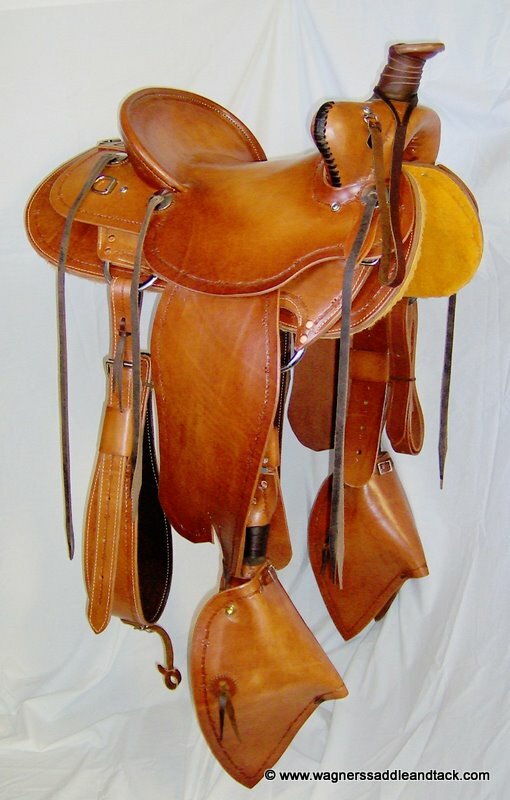 Association tree on mule bars with rough out seat and d- rings for breeching or crupper, rough out seat and fenders. 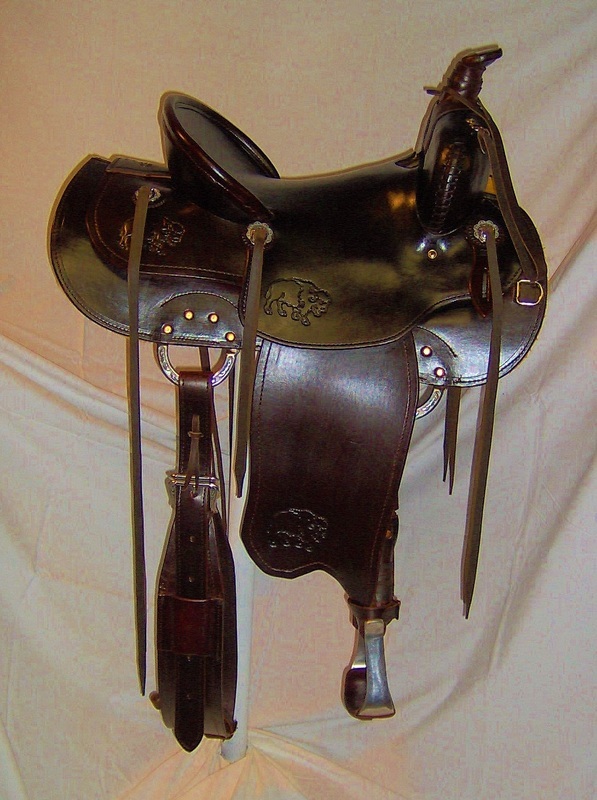 Wade tree on horse bars with barb wire border trim and 16" Tapaderos. 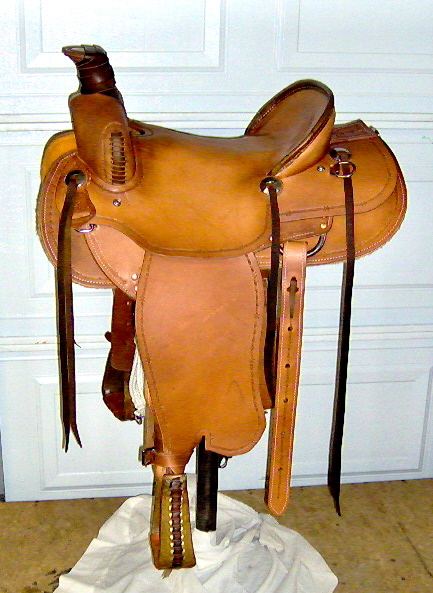 Built on mule or horse tree.